In memory of Professor Michael Pikal – The National Institute for Pharmaceutical Technology & Education, Inc. It is with great sadness we share that our colleague and friend, Professor Michael J. Pikal, University of Connecticut, passed away yesterday. 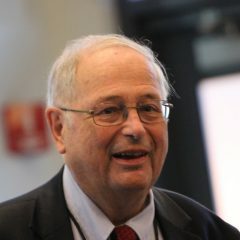 His passing is a tremendous loss for pharmaceutical science, UConn, NIPTE, countless students, colleagues, and friends. Mike was a role model to many with his positive and dynamic attitude, wonderful humor and willingness to mentor many people. He was an outstanding scientist with unparalleled leadership in many areas of pharmaceutical research. His presence will be greatly missed. Our deepest sympathy goes to Mike’s family and the many people touched by this loss. Please help us honor Mike with your memories, comments and stories on our LinkedIn post.